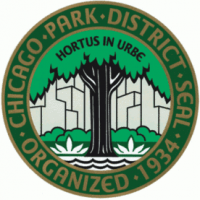 The Chicago Park District invites local nature lovers to Birding Class: Migrating Birds from 7:45 a.m. to 9:45 a.m. on Saturday, May 18, 2019, at the McKinley Park field house, 2210 W. Pershing Road, Chicago. In this Meet Our Birds session, participants can observe birds at the height of migration. Participants should bring binoculars, a notebook and a field guide (or borrow from others); they should dress for the weather and be prepared for muddy feet.